FCL Logistics keeps cargo moving with timely CBP Trade Enforcement Examinations and a full array of logistic warehouse services with two locations near the Port of LA/LB and within the overweight corridor to ensure your success wherever you ship. FCL Logistics is an established CBP (Customs Border Protection) CES (Centralized Examination Station), specializing in servicing the agricultural sector, since 2004. Our CES is responsible for fulfilling the needs of both CBP and the importer by providing a means to conduct examinations in an efficient and timely manner. 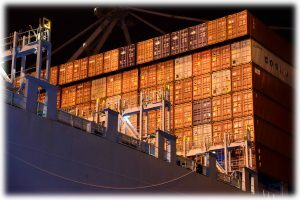 As a CES, FCL provides the designated warehousing operation that is equipped to unload import containers or handle import cargo under the supervision of US Government personnel. 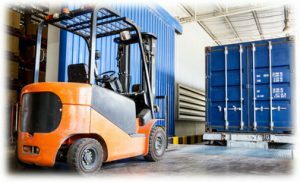 In addition to examinations, FCL Logistics offers seamless integration to a full array of import/export logistics services that include warehousing, transloading, cross docking, legalizing overweight cargo, reworking, and other value-added services. 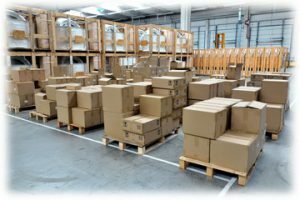 FCL II provides all or most of a company’s logistics operations, including warehousing, inventory management, consolidations, cross-docking, legalizing overweight loads, transportation, and many added value services. We offer experience, flexibility, and customization to meet each individual customer’s business requirements. 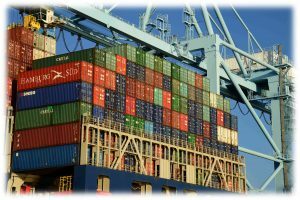 Our location near the Ports of Long Beach/Los Angeles and in the overweight corridor makes FCL II an ideal choice for our customers’ supply chain needs. FCL Logistics was first established in 2001 as a cargo logistics provider. In 2004, FCL Logistics saw specific agriculture examination needs and followed their sister company, Price Transfer, in becoming a C.B.P. (U.S. Customs and Border Protection) C.E.S (Centralized Examination Station). FCL Logistics a C.E.S. specializes in the agricultural sector by combining an extensive knowledge of perishables with over 45,000 square feet of variable temperature controlled examination rooms within 195,000 square feet of warehouse examination space. Our services include AQI, MET, USDA/AMS, FDA, and FDA Refusals exams, drawbacks, C.B.P. Approved Manipulations, C.B.P. Bonded Warehouse and C.B.P. C.F.S (Container Freight Station.) We also offer transloading services after the examination to further reduce time and additional cost for the customer. FCL Logistics also operates a 100,000 square foot Public Warehouse, adjacent to our CES, that offers full service Logistics Operations with flexible and customized services to meet a variety of individual customer business requirements. 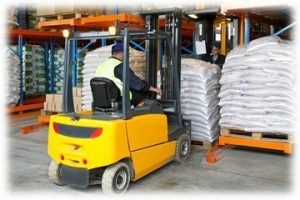 The FCL II Public Warehouse provides all or most of our customer’s logistics needs, including warehousing, inventory management, consolidations, transloading, cross-docking, legalizing overweight loads, U.SD.A. inspections and key personalized services. 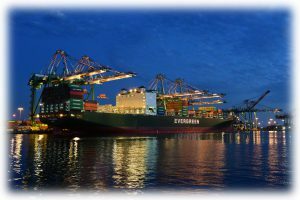 Both of our locations are near the Ports of Long Beach/Los Angeles and within the overweight corridor making FCL Logistics an ideal choice for our customer’s supply chain needs. FCL Logistics strongly commits to operate as a true extension of our customer’s business and to support their objectives and mission by proven expertise and efficiency as a CES and third party logistics partner. We are dedicated to providing the best possible customer experience with professional and friendly customer service. © 2019 FCL Logistics, LTD.